Delta Work will seek to give Gordon Elliott a fifth win in the Grade 1 Drinmore Novice Chase this Sunday, but he's not favourite in the betting. Shortest in the Drinmore Novice Chase odds is recent Grade 3 winner Le Richebourg at 7/4 with Paddy Power, Delta Work, the Pertemps Final Handicap Hurdle winner, next in the list at 15/8. 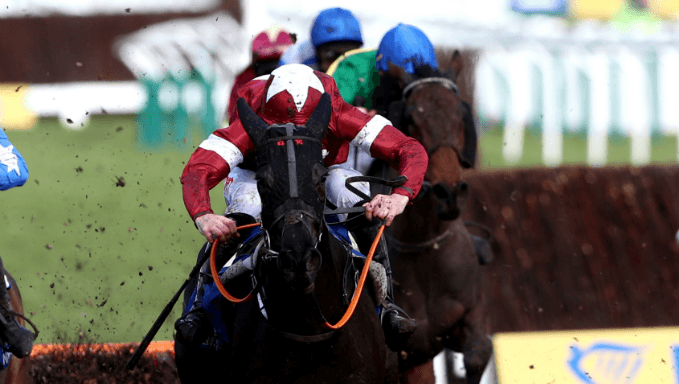 Elliott could also call on fellow Cheltenham Festival winner Blow By Blow, recent Cheltenham winner Cubomania, the maiden Duca De Thaix, or Fairyhouse winner Hardline, but Delta Work makes most appeal, and here's why. The Drinmore Novice Chase is the first Grade 1 novice chase of the season, run over 2m4f at Fairyhouse, with €90,000 in the prize fund. Every one of the last 10 Drinmore Novice Chase winners had won over 2m4f or further, either over fences or over hurdles. All but one had won a chase, and all but two had run at Punchestown over fences that same season. Only six won at Punchestown, but while a winner could come from a Punchestown defeat, every Drinmore winner that ran elsewhere, won. Class over hurdles is not essential - though 8/10 ran in Grade 1 hurdles, three winning - but if the horse ran in a Grade 2 or 3, it generally won. Delta Work made a quick ascent of the hurdling ranks last spring, following up his Pertemps Final Handicap Hurdle win at the Cheltenham Festival with a neck second in a Grade 1 novice hurdle at Punchestown in April. Crucially, both of those efforts came over 3m. He got off the mark at the first attempt over fences when taking a beginners chase over 2m3f at Down Royal just under a month ago, the form of that race working out well enough with the runner-up running well off 138 in a handicap subsequently and the third, Ben Dundee, winning impressively a fortnight later. The drop back in distance at Down Royal wasn’t ideal for the son of Network, but he coped with it well, having raced prominently and jumped well in the main - the only moment of concern coming when he jumped untidily at the final fence. The extra half furlong in the Drinmore Novice Chase should suit the five-year-old, in a race that is regularly won by a horse who goes on to show his best chase form over further distances. Discorama (8/1 Betfair) was another to show useful novice form over hurdles last season, starting with a nose victory in a maiden hurdle on the Drinmore Novice Chase card. Trainer Paul Nolan's charge didn’t visit the winners enclosure thereafter, but his subsequent efforts do including three placeings, including when beaten 5L by Blow By Blow at Cheltenham in March. However the most intriguing part of this profile is that he took a hot beginner's chase on his debut over fences at Naas (2m3f, yielding) three weeks ago. Discorama won the race in the style of a horse who would ultimately be better over further, and in behind was Any Second Now, who managed two Grade 1 placed efforts in novice company last season, including when chasing home the classy Footpad in a 2m1f event at Leopardstown last December. That Naas beginner's chase has borne a number of classy winners, including Texas Jack (2012), Road To Riches (2013) and Road To Respect (2016) with the last two named going on to Grade 1 glory.